This week’s blog takeover is hosted by Tracy Lawson. Tracy has been having a hard time of it with book releases so here she wants to give us an insight into how the author feels. The last few weeks before a book launch are crazy, hectic, and full of last-minute details that need tending. It’s a time of hope, excitement, and dread all rolled into one. The book has been edited and polished, and then polished again. It’s a piece of the author’s soul, soon to be on display for the world (well, hopefully at least some of the people in the world) to read. Counteract, the first book in my YA dystopian series, made its début on August 4, 2014. I couldn’t wait to launch Resist, the next book in the series—and as we say in Texas, it wasn’t my first rodeo. I’d hired a publicist, and together we worked to finalize the details for a blog tour. I’d scheduled radio appearances, book signings, and a launch party for the release, which would take place on June 9. Oops, make that June 30. Umm…I mean August 4. The publisher’s delays were frustrating, and beyond my control. The PR firm I’d hired to run my blog tour graciously shuffled dates around and extended the term of my contract to accommodate the changes. We got ready to launch again. Let’s just say I wasn’t surprised to learn Resist wouldn’t be ready on time for the August 4 release date. The circumstances that led to Resist’s repeated failure to launch aren’t important. What mattered was what happened after that. 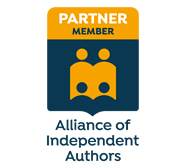 I’d wanted a publisher, first and foremost, because I didn’t want to be alone; I wanted a professional guide who knew the ropes and could handle the details and the business end of things so I could focus on writing. And silly me—I still believed, in the back of my mind, that a book put out by a publisher—any publisher—would be superior to a book that was self-published. But enough was enough. It was time to assert my independence. I’m not sure I would have had the courage to do it were it only for myself. I had my cast of characters waiting in the wings, ready to entertain. Tommy, Careen, Wes, and Jaycee are nearly as dear (and as real) to me as my own flesh and blood. My readers had been expecting to get their hands on the next instalment in the story way back in June. I had more than a few “how much longer?” messages coming in through my social media. I had to make the break and take control. I couldn’t freak out for longer than, oh, an hour or two, because there was so much work to do. Turns out, it’s not as hard as I thought it would be to produce high-quality books. The whole wide world is at my disposal. Anything I don’t know how to do, I can learn; I can hire someone to handle details I lack the skills or the time to do myself. I’ve got a great team and support network. I’m not on my own. The new cover art is done, and it looks amazing! The books have been re-edited and polished yet again. This time, the release date is carved in stone. Counteract and Resist will be released simultaneously on August 25. I might be a little bit late to the party, but this time I’m arriving in style. Thanks so much Tracy! It’s been great having you here and I love that you could share your story with us. I wish you the best of luck with your launches! You can buy Tracy’s books from Amazon, simply click Counteract or Resist to be taken there. Guest Post: What are Your Publishing Options? Thanks for letting me take over on your blog today, Natasha! I’m happy to report that all is well with Counteract and Resist, and I expect the third book in the series to be ready to go next spring!